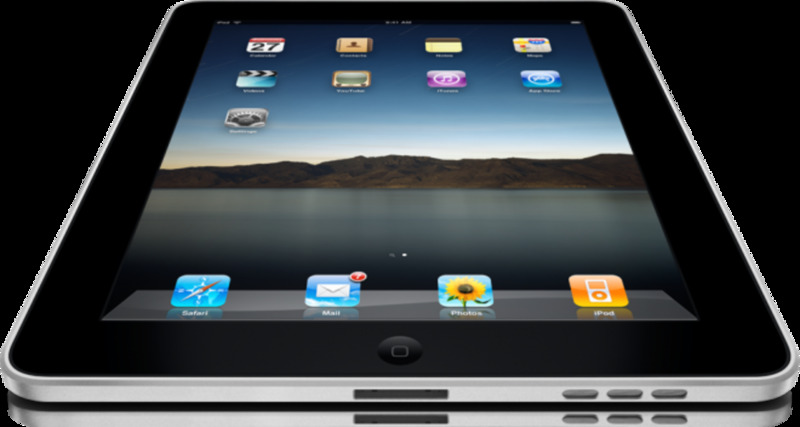 Roku makes an app available for the iPhone, iPad or iPod Touch that lets you control your specific player with your Apple device. You can add and remove channels, adjust the channel setup on your Roku player's home screen and also use the virtual remote to control playback on your device. 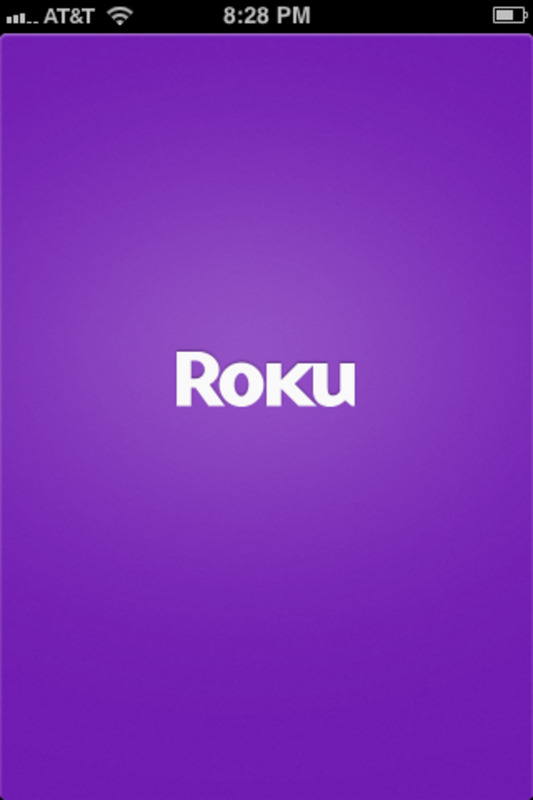 The time it takes to download the app depends on the speed of your Internet connection, but the only requirement for setup to get up and running after that is that you log in to your Roku account, which should only take a few seconds. 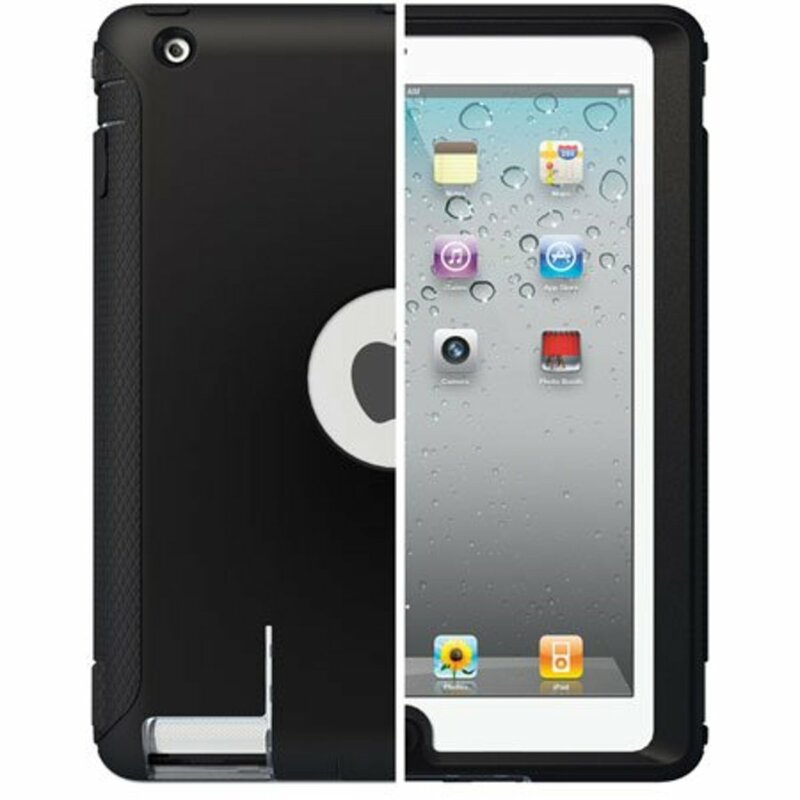 Tap the "App Store" app on your iPhone, iPad or iPod Touch. Tap "Search" in the list of options along the bottom of the App Store app and then type "Roku" in the Search bar that appears along the top of your screen. 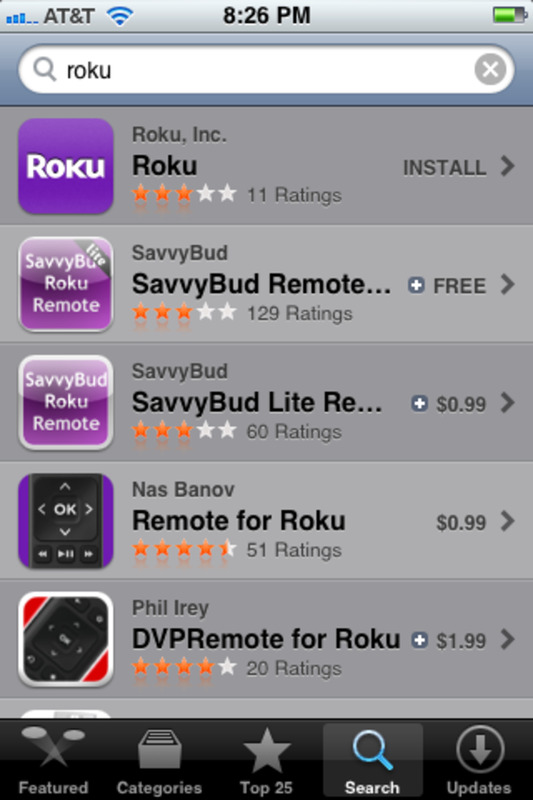 Tap to select the Roku app that's developed by Roku, Inc. 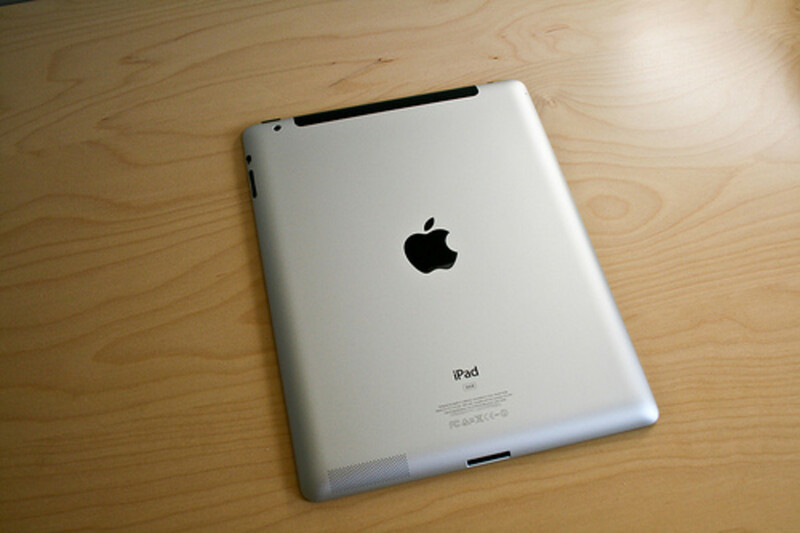 The app's developer appears in gray lettering. The information screen for the Roku app appears. Tap the "Free" button at the top of the app and then tap "Install" after the Free buttons turns into an Install button. Enter the password associated with your Apple ID if you're prompted. 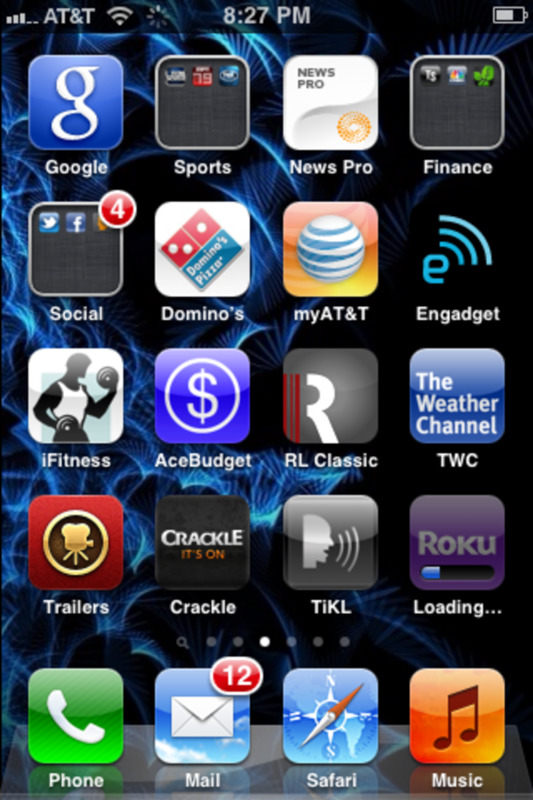 The Roku app begins installing on your iPhone, iPad or iPod Touch. Tap the Roku app after it's finished installing. A screen appears prompting you to sign in to your Roku account. 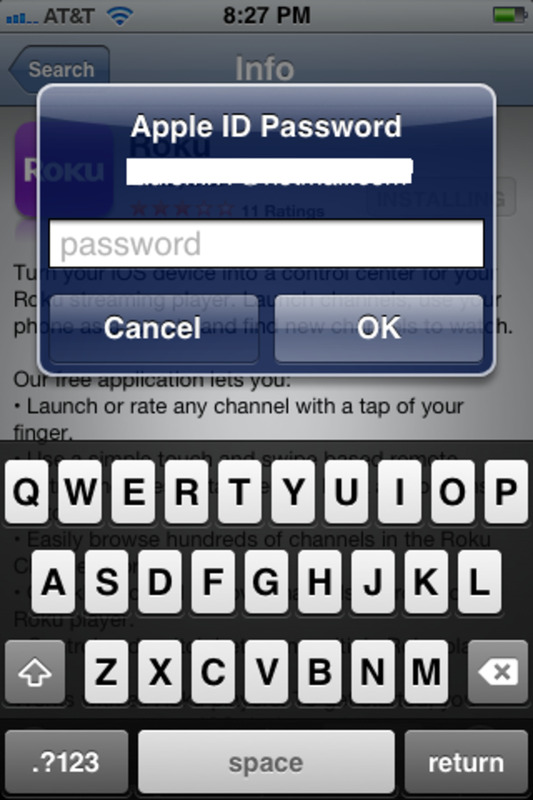 Enter the e-mail address and password associated with your Roku account, then tap "Next." 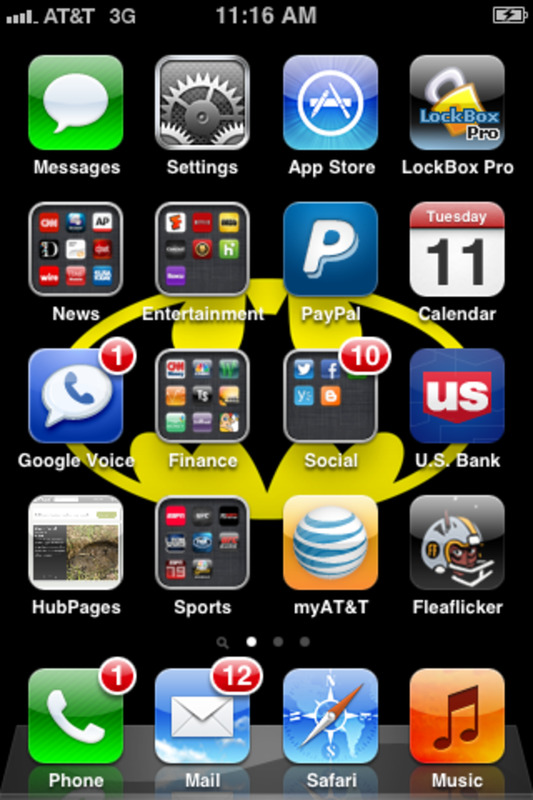 The screen becomes shaded in gray and the word "Retrieving" appears in the center of it; during this time, the app is searching for Roku devices connected to the same wireless network. After a few seconds, a list of Roku devices on the same wireless network appear in a list. 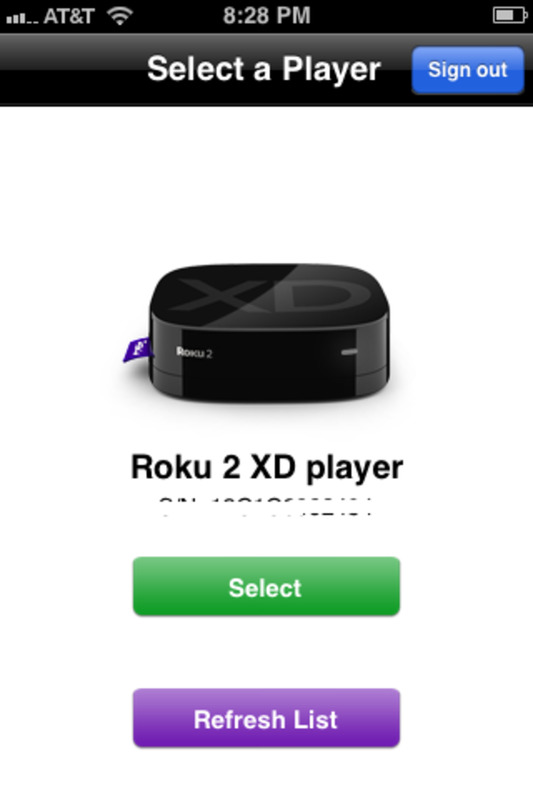 Tap the name of the serial number associated with the Roku device you want to associated with the app, then tap the "Select" button. The screens becomes shaded in gray again and the word "Validating" appears in the center of the screen. 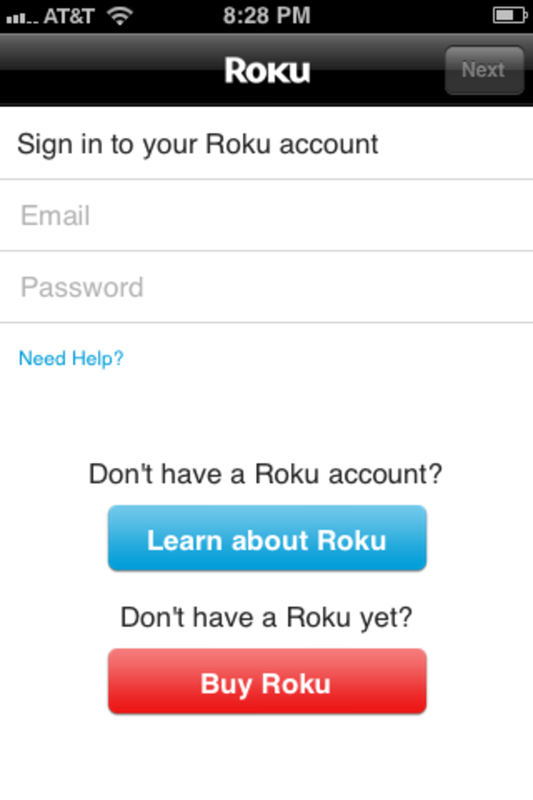 After the device is validated, you'll arrive at the Roku app's home screen. 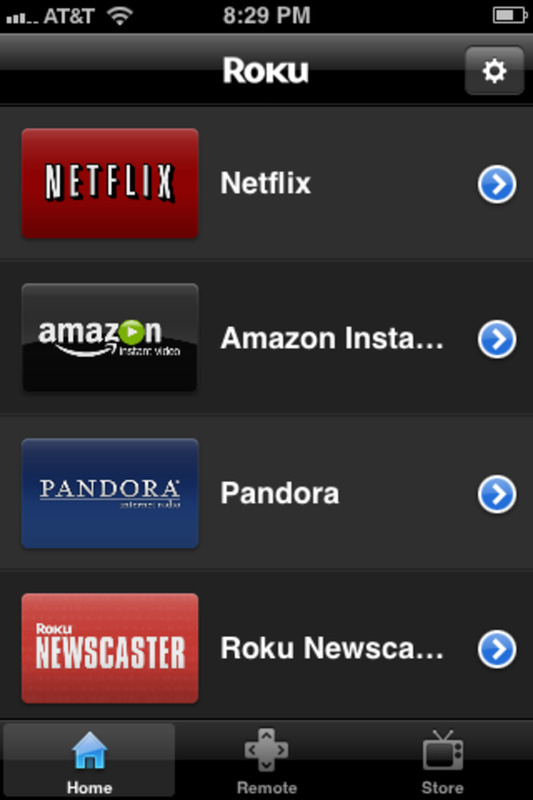 Tap "Home" to view a list of channels installed on your Roku player. 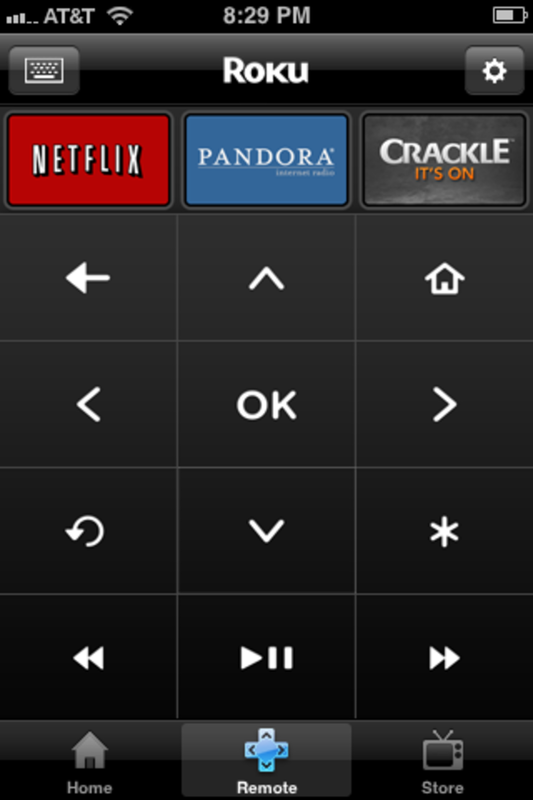 Tap "Remote" to display a virtual version of the remote control that came with your Roku player; this remote will work with your Roku player. Tap "Store" to view various sections of channels that can be installed to your Roku player directly from your iPhone, iPoad or iPod Touch. In addition to serving as a remote control, the Roku app also features a search function that lets you search across all Roku content for movies, actors, TV shows, and available channels. For example, if you search for a movie, you can whether it's available through services like Hulu, Starz, Netflix, Amazon, and more. Additionally, the Roku app lets you monitor your feed, which is invaluable if you monitor keywords associated with specific content, or price changes for content. 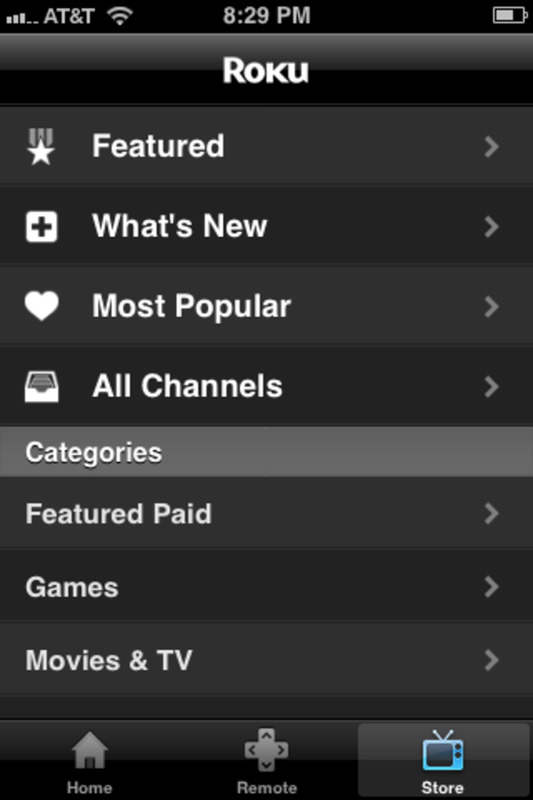 Another great feature available through the app is the ability to search available channels. And finally, you can opt to view photos directly from your Apple device through the Roku box connected to your TV. 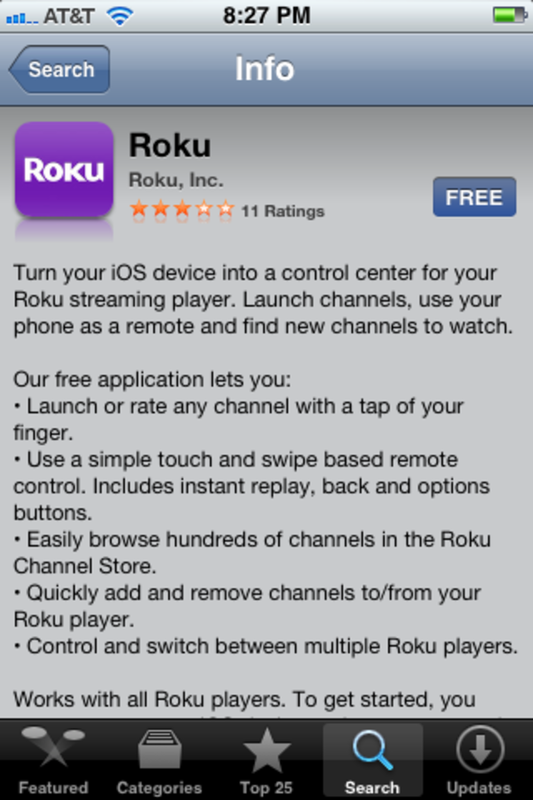 Of course the Roku app isn't just available for Apple devices. There is a Roku app available in the Android App Store that boasts all of the exact same functionality and features that is available for free.